Experience takes on the horror adventure genre. Following a teaser video in December, the latest issue of Dengeki PlayStation reveals Shiin, or Death Mark, a horror adventure game for PS Vita from Experience due out in Japan in 2017 for 4,800 yen. 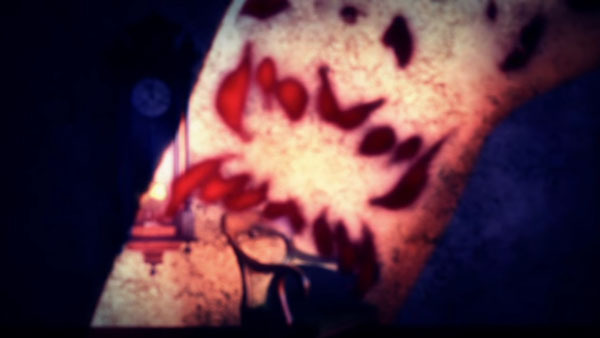 Death Mark is Experience’s first take on the horror adventure genre. The company typically develops dungeon RPGs. The game is set in the Tokyo metropolitan area’s H City, where it is rumored that “those who possess a birthmark known as the ‘mark’ will die,” and a mysterious event was caused as the result of the mark. Meanwhile, among those who possess the mark (Marked Persons), there were those looking into a certain mansion. The master who greets visitors at that mansion was a beautiful doll who speaks language. Those who possess “symbols” must search for a way to solve the curse of death by exploring “kaii” spots within the mansion. The protagonist is a middle-aged man who lost his memory. He picks a partner from among the Marked Persons who visit the mansion to split up, explore, and investigate. “Kaii” that target Marked Persons exist within the explorable spiritual spots in the mansion. Because facing kaii means death, players must choose the best option to escape. If players make the wrong choices, it will result in a game over.